The tools used for 3D modelling are graphics intensive. Some of these programs are Auto CAD, Maya, 3D Max and Revit. 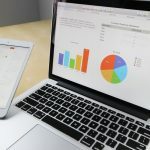 When working with these graphics intensive programs, you will require a good GPU such that the workload on your CPU and RAM is significantly less. Along with a powerful GPU, a large storage and high RAM is also required. 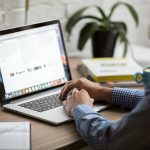 A computer with a higher screen resolution and a relatively large screen size serves you the best. The gaming laptops have great graphics and performance, and hence suits your needs for 3D modelling too. Most CAD applications like Solidworks, Revit have published minimum hardware and system requirements on their website. Solidworks for instance needs atleast 8gb ram and 64bit processor with SSE2 support along with dedicated graphics card. The OS needs to be Windows 7 or above. 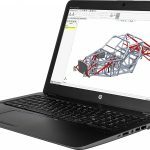 In this post we take a look at some of the best laptops that meet the hardware and software requirements for most CAD applications. Most of them have ram memory of 8gb with 64bit processors from intel or amd along with Windows 10 OS. So lets take a look at the list. This HP Pavilion notebook ranks number one owing to a number of factors. At a budget-friendly price, this compactly designed notebook has a DVD drive and is yet very light in weight. 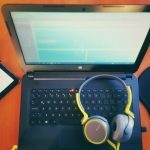 The graphics and the quality of the screen is also another factor; they are amazing for the ones who work on graphics rich tasks. Ports: 1 x USB Type-C, 2 x USB 3.1, HDMI, Headphone/Microphone combo jack. The HP Pavilion notebook is a powerful machine and is really lightweight. There are not any heating issues that have been experienced so far. It is so good and has absolutely no sound of the fan or other bothering sounds. Its processor is very smooth and running high-end applications do not cause any trouble in the performance. This notebook comes with great graphics and the high-quality display has mesmerizing colours. The screen is easily visible from any angle. The best part of this laptop is that it has a DVD drive, despite being so lightweight. The back end is a bit raised for a good airflow. It is sharp-edged, and hence might not be very comfortable if you put it on your leg. Overall, it is one of the best laptop’s you could own; the speed and performance is mesmerizing, and the graphics are absolutely amazing! If you are a hard-core gamer and do not wish to spend too much on the higher end gaming laptops, the Acer Predator Helios 300 Gaming Laptop is all you could ever wish for. 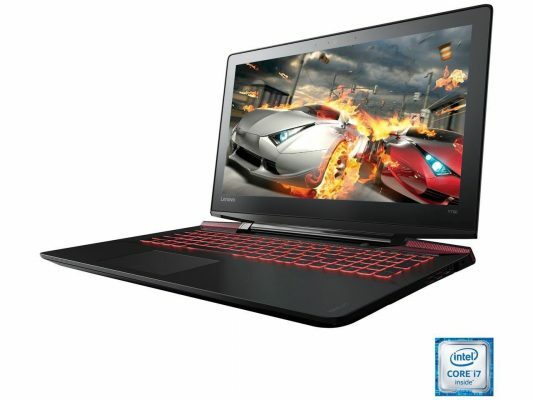 Offering you the best of features at such an amazing price slot, this laptop does not compromise with its GPU. 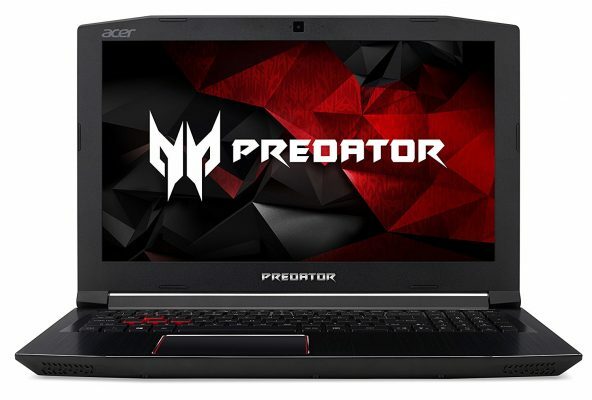 When comparing it with the gaming laptops of other top laptop companies, the Acer Predator Helios 300 Gaming Laptop is just the best at its price. It comes with pre-installed GeForce Experience program which is upgradable. It performs extremely well even with hard games which push the CPU and the GPU of the system to their limits. A lot many people are concerned about the unavailability of the Aeroblade 3D fans, but the dual fans of the laptop work essentially well. They do not create any unnecessary noise. An additional feature of CoolBoost allows you to cut down the temperature of the laptop considerably when playing heavy games. Available with a red coloured backlight, the keyboard has solid and resistant keys. It has a good power backup. The 256gb SSD makes it blazingly fast. 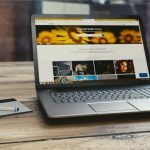 Overall this laptop is the best for the ones looking for absolute performance at a lesser price. 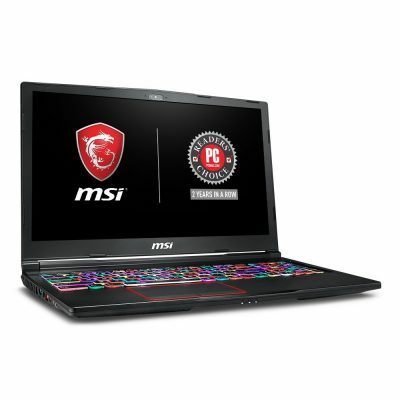 This MSI Gaming laptop comes with unique mystic lights and a coloured backlit keyboard. It allows you to choose the colour and macros of every key on the keyboard. This high-performance laptop gives you real-life gaming experience with its mesmerizing display colours and sound system. This light weighted notebook is very powerful and does not make any noise under normal working conditions. The MSI Dragon Centre software also allows you to set custom fan speeds for different temperature thresholds too. This laptop has a good built and the mystic lights on the lid and the pre-key RGB add to the “cool” features. It also illuminates the three USB type-A ports which is, by all means, a plus point. This ultra-slim, yet powerful gaming notebook has an elegant out view. It is very light in weight and has a delicate look. The flawless visuals make it even better for gaming. If you are amongst the ones who prefer delicate yet powerful, ASUS VivoBook Thin and Light Gaming Laptop is for you! 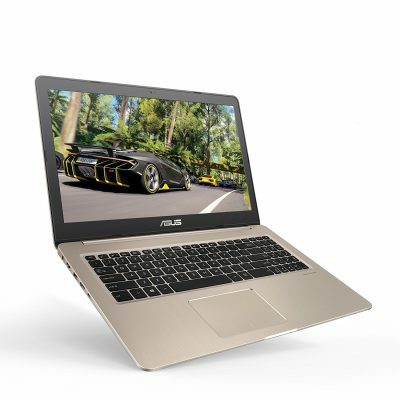 ASUS VivoBook Thin and Light Gaming Laptop has a real quick boot time. The keyboard is smooth and hence typing feels nice and easy. It comes with an upgradeable screen and is a great choice for gaming owing to the high PPI. The fan is not very noisy and because of the extra air intakes at the bottom, the laptop does not heat too much. 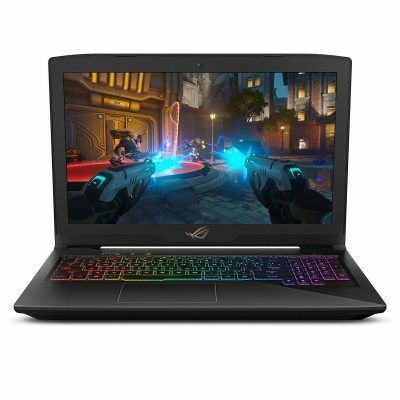 It is a fairly good laptop if you are looking for a thin and light gaming laptop. 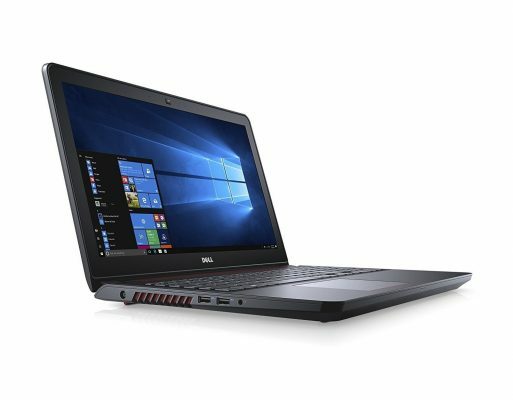 The Dell Gaming Laptop is engineered keeping the needs and demands of the gaming audience in mind. It comes with the latest processor and has a powerful discrete graphic card, which makes your experience more intense and real. superior sound with two front-firing speakers with Waves MaxxAudio Pro. The Dell Gaming Laptop gives a great gaming experience and the colours of the screen make it more real. The processor is fast and helps in uninterrupted gaming experience. There are no heating issues encountered as such and it is also not very noisy. Overall, it is a great machine to opt for gaming and other high-end programming. With the GTX 1050 gpu you can be sure of high quality graphics performance when you are rendering 3D objects in your favorite CAD application or just playing some graphics intensive game. When combined with the 8th generation i7 processor, you have a more than adequate powerful machine for almost any graphics or processing intensive task. Sleek in appearance and strong in performance, the ASUS ROG STRIX has a discrete graphics card to offer you an unmatched gaming experience and 3D rendering capabilities. It is designed with an understated, black brushed-metal cover, conveying an inner focus and sophistication. ASUS offers a larger SSD for large gaming and OS files. The keyboard is amazing with its RCB colours, and the graphics are great even on the 1050. The screens load fast and the game refreshes at a much faster rate as compared to many other laptops. It is a nice gaming laptop, with a great design or anyone who does not want the basic looking laptops. 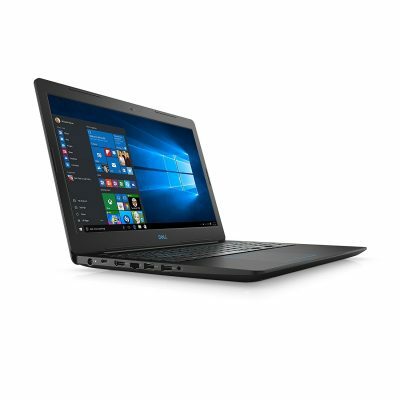 The DELL Inspiron 15 5000 series gaming laptop is a devastatingly powerful and portable weapon for serious gamers, engineered keeping in mind the needs. It comes with an optional WASD backlit red keyboard, ensuring precision of command and control in battles in low-light environment. It is designed with a revolutionary thermal design, providing superior cooling performance, so that you can enjoy exceptional gaming experience for hours on end. The powerful subwoofer and Waves MaxxAudio Pro offers an audio-visual feast for a real-time gaming experience. The Lenovo Ideapad Y700 gives you an intense and immersive gaming experience. The quad-core power, discrete graphics and a complete multimedia experience gives you a great gaming experience. The surround sound and subwoofers make the experience more indulging. Much powerful for its price, the Lenovo Y700 allows you to play games at both medium and high decent framerates. Both the processor and the graphic cards are extremely good, and it can be used to run many applications simultaneously. The audio and video quality are extremely superior. It also gives you the freedom from heating issues owing to its thermal cooling technology. You can now experience uninterrupted gaming experience with Lenovo. There are many laptops for you to choose from for a good 3D modelling experience. The aforementioned laptops are much higher in specifications that you would possibly need, but these higher specifications would ensure smoother experience even in the higher versions of the graphics intensive software’s like Auto CAD. Good quality of graphics, higher memory, and a good screen resolution with 15.6 inches size is ideal for you. Choose from the above-mentioned laptops and experience a smooth graphic-rich experience. Thank you so much I have purchased Dell Inspiron 15 5000 from your quick review. I love Dell Inspiron 15 5000 is the best laptop ever for 3D modeling not just for 3D modeling also great for gaming. Thanks for this informative post! It has really been helpful. I am shopping for a laptop for 3d modeling. Would you mind assisting with choosing one? 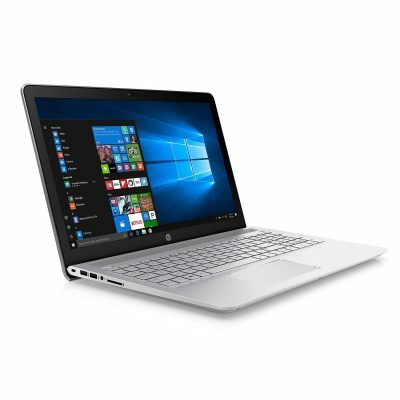 I have emailed you a link of laptops I’ve found with similar specs to the HP you have selected above. I really like the HP Pavilion range but have noticed buying online is much more affordable than buying from the HP store in SA.